The Boy in the Striped Pajamas was a heartbreaking story, but it was a work of fiction. 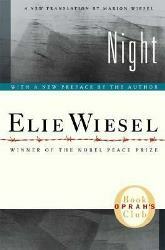 This story is just as sad, but is written by a holocaust survivor himself. This story will make you cry so beware. It made me cry, but was a complete eye opener to the history of WWII. This book is a classic and will satisfy all audiences with its moving story. It has taken several days since finishing 'Behind the Beautiful Forevers' for me to put together what I might like to say about it to others. Before now I've basically just resorted to, "Yeah, you should really read this book." But, yeah, you should really read this book. Even if you're not like me, and you DON'T try to pick at least ONE book about India every time you pile up your requisite stack from the library, you should still really read this book. Narrative non-fiction books are some of my favorites, and Katherine Boo does an incredible job of telling a true story that reads like a novel. The action takes place in the slum of Annawadi, one of the many shantytowns or slums in the city of Mumbai, India. Mumbai has one of the highest concentrations of people in the world, and nearly 3/4 of the population lives in poverty. Poverty that is abject beyond anything you would see in the United States. No electricity or running water, and diseases that have long been extinct in other developed countries. Boo has chosen to chronicle the stories and lives of a few of the slum's inhabitants, and it actually gives the reader a closer look at how a specific group of people have inserted themselves into the global market. In a place where so few have so much, and so many have so little, even trash is a commodity that is bought, sold, and traded. Many of the people of Annawadi scrape out a meager existence on the scraps of plastic and metal that are thrown away and discarded by others. I don't think I'll ever look at trash in the same way. Fascinating account of the Columbine massacre, the months leading up to it, and the aftermath. Very thorough analysis of the minds of the killers. I was riveted by this book. The only reason it didn't get 5 stars is I'd have liked to see pictures, not of the carnage, but of the involved parties so I could easily associate faces with names. A thought-provoking book.